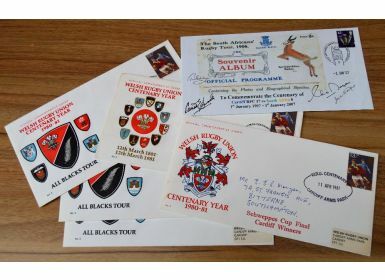 6x Rugby Philatelic First Day Covers inc Signed: 2007, Centenary of Cardiff RFC beating S Africa 17-0, with image of the 1907 programme, special stamp and hand stamp and clearly signed by Cardiff, Wales and Lions legends Gareth Edwards and the late Cliff Morgan, Bleddyn Williams and Jack Matthews; plus five WRU Centenary covers 1980-81: No. 2, three different of No. 3, from Cardiff Arms Park, Swansea & Llanelli and No. 7. Only two postally used; most with explanatory card. 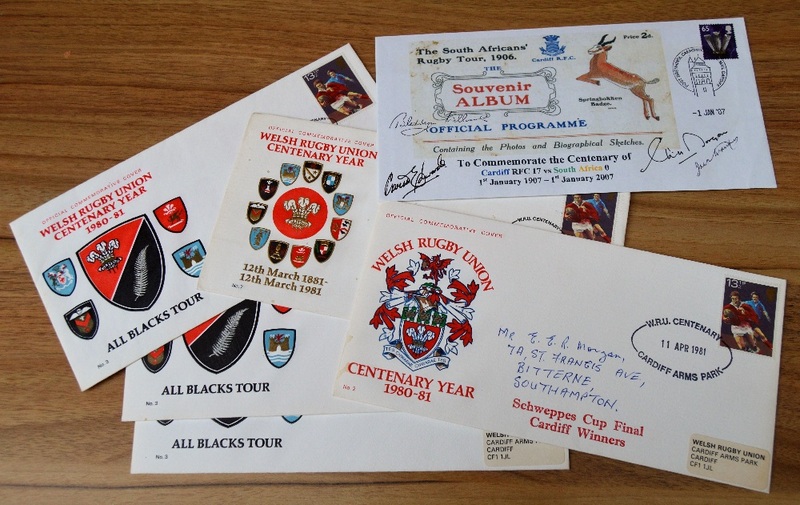 Cardiff RFC issue especially rare. One G, others Exc.